When I got a phone call from Mechelle telling me the exciting news, it wasn't to ask me to do her wedding hair and makeup. It was to be a bridesmaid! Needless to say, it was going to be a wedding full of fun and custom style considering Mechelle and I became friends during our crazy pin-up girl singing/dancing/emceeing shenanigans when I was co-owner of Sugar Mill Productions. With Mechelle's great eye for style and design combined with her and Dean's love for Harley Davidson, I was ecstatic to do hair, makeup and fashion styling for the wedding. Take a look at the Inspiration Board for the big day. Mechelle and Dean both have such big hearts and I couldn't be happier for them. Just from the pictures, you can see the incredible love they share. Thank you Mechelle and Dean for letting me be a part of such a special day! Thank you Mechelle for the review on TheKnot! Janie truly transformed our wedding party into simple, elegant beauty with a twist. As a Bride, Janie's entire styling process from our first meeting all the way through the event was easy, fun and enjoyable. Just what it should be. Janie is the best stylist I have worked with and she encompasses the ability to do hair, makeup and wardrobe for any time period, style or theme. 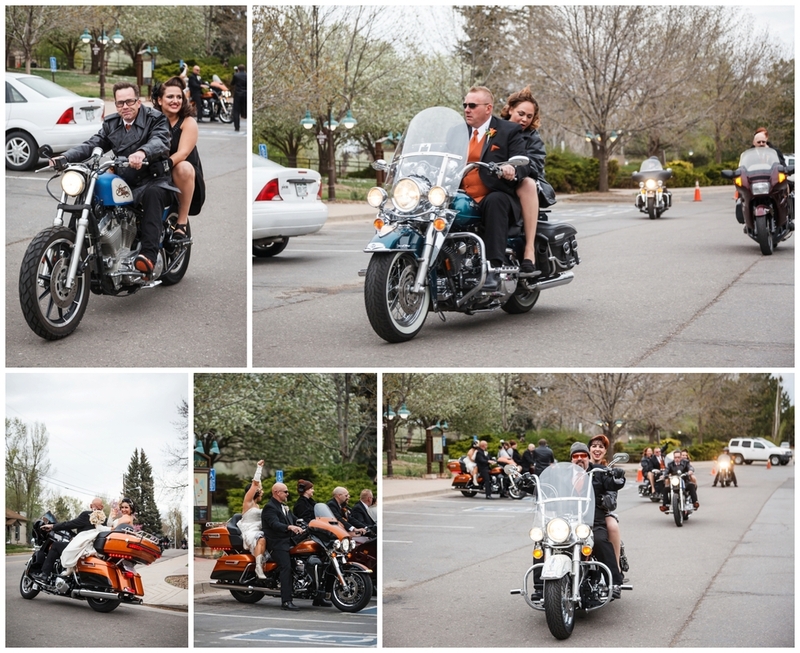 We had a vintage biker pin up wedding and each member of the party was stunning, elegant and simply beautiful. I wish I could have Janie as my stylist every day!